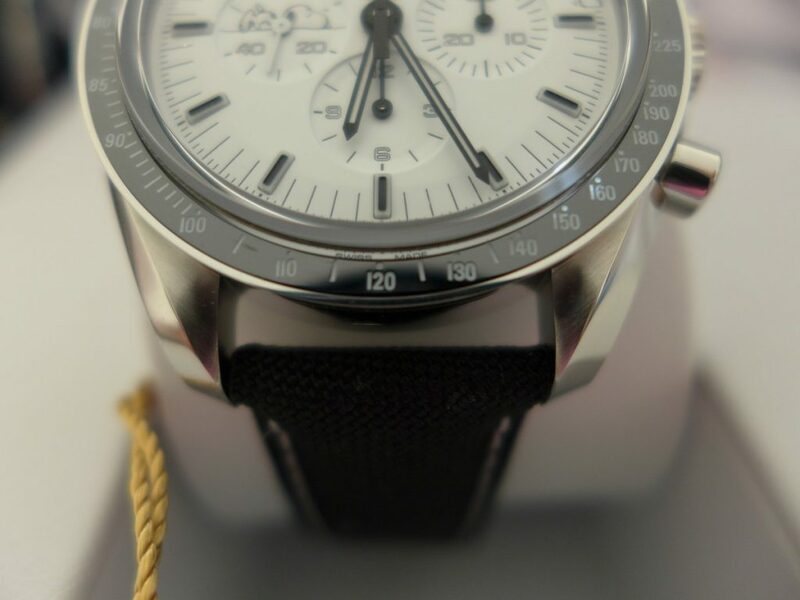 As the title says following are recent blogs of the SpeedMaster Moon watch, this is the modern version of the moonwatch st 145.022 it has not changed much since the previous model st145.022. 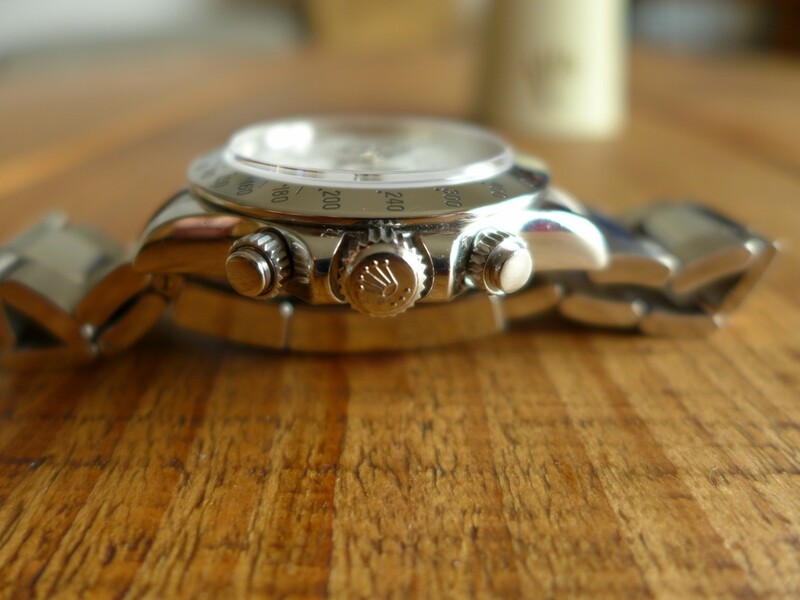 They has been a few subtle changes the dial is luminova rather than aged tritium dials which started around late 90s. 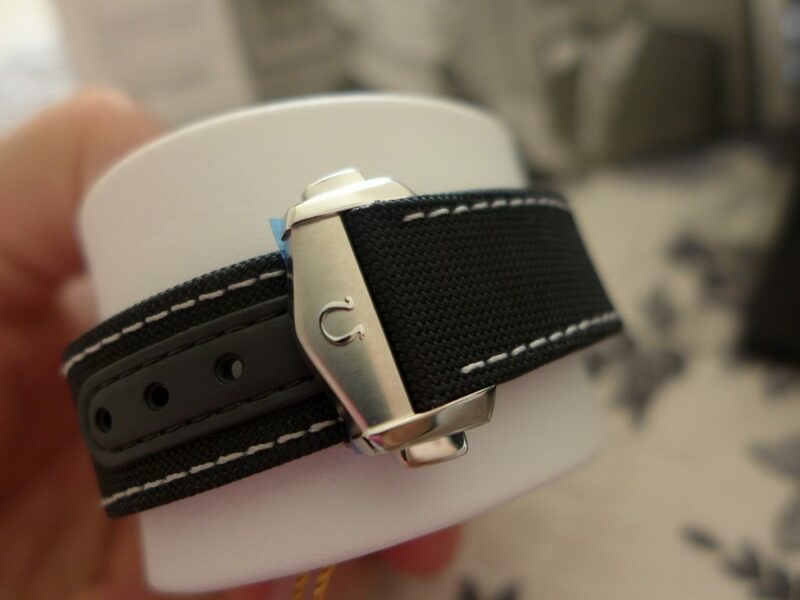 The bracelet has been updated to modern style and feel with brushed and polished finish and a lot more robust. 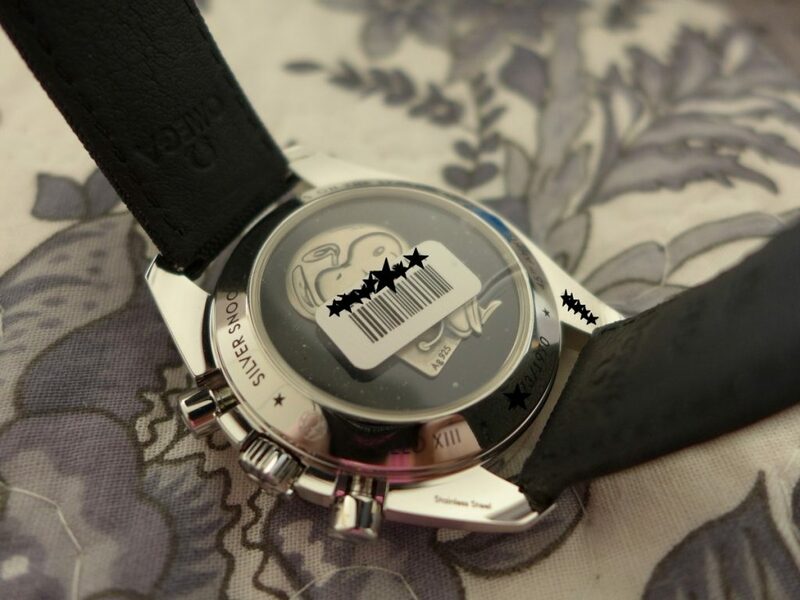 The movement has been updated from Cal 861 to 1861 not sure what they did more than likely a slight modification on the Cal 861 which has been in moon watches for over 20 years. 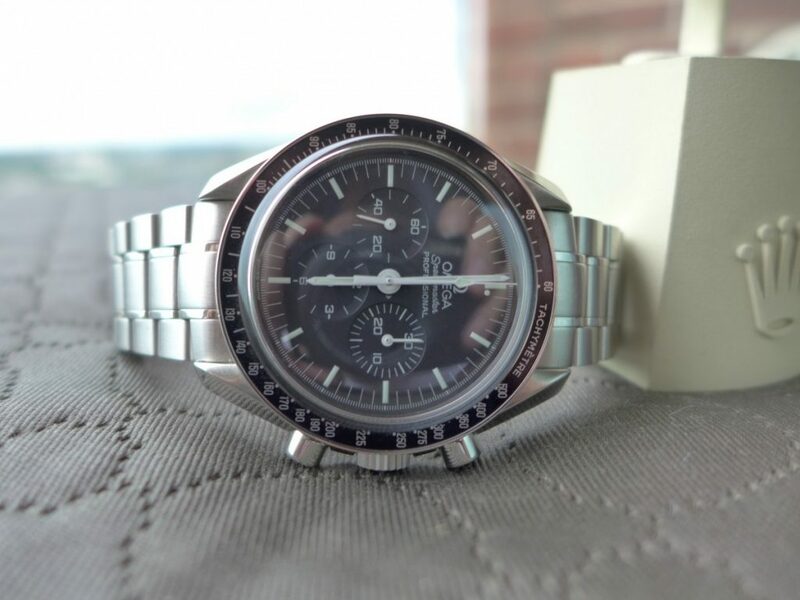 The look is still the same with hesalite crystal and tachymetre bezel also the caseback is the same as previous model st 145.022, the changes overhaul are very minor, the biggest change is the look modern or vintage which just comes down to taste personally vintage look for me always. 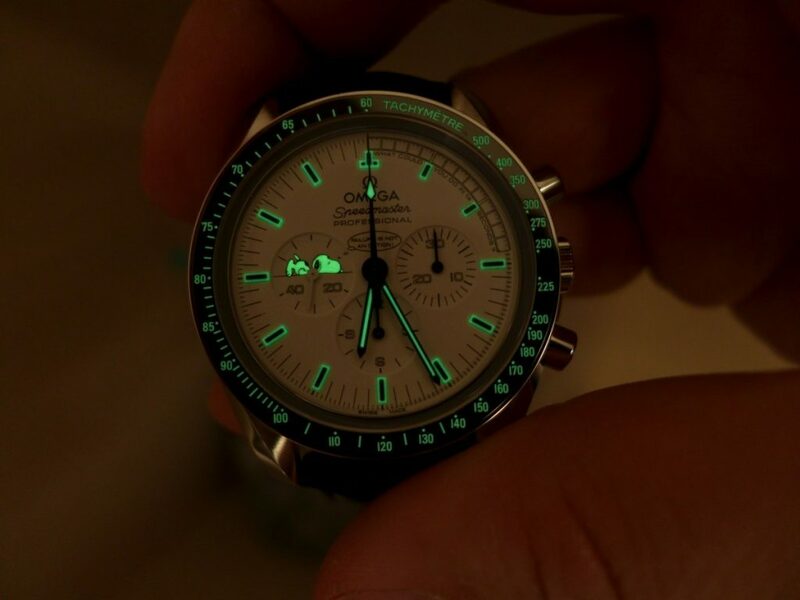 The luminova dials glow really bright in the dark as the vintage stuff does not glow at all as tritium loses its luminosity the longer it ages. 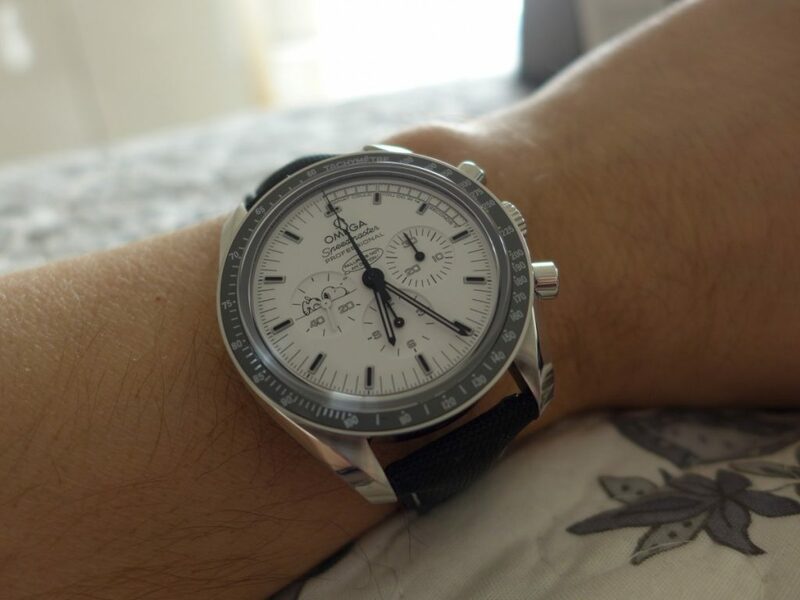 There is actually an newer version to this model, made a few years back only difference is they gave this a new model number and updated the bracelet with screws and a pins instead of the pin and tube just to make it easy to remove links and possibly less chance of age related stretch. 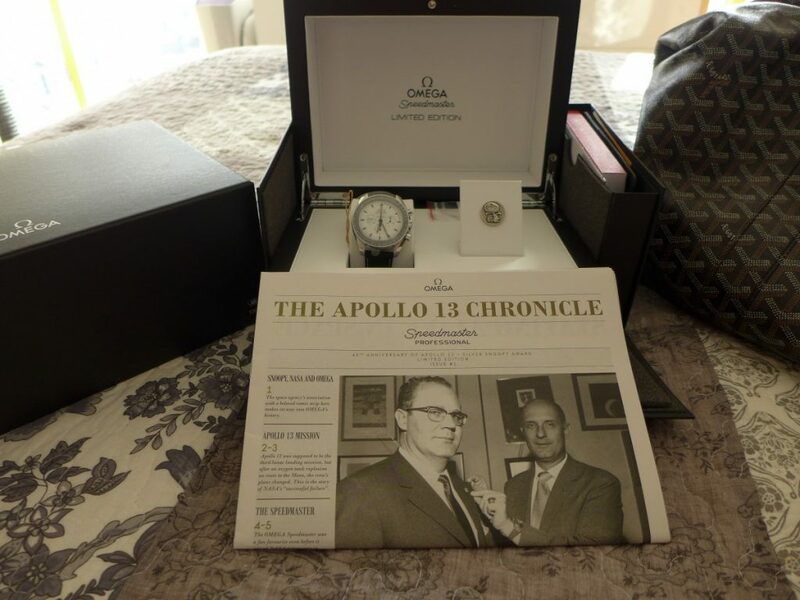 However they added a huge briefcase style box that weighs a ton and bumped the price up to £3390 from around £2700 but the actual watch head stayed the same. 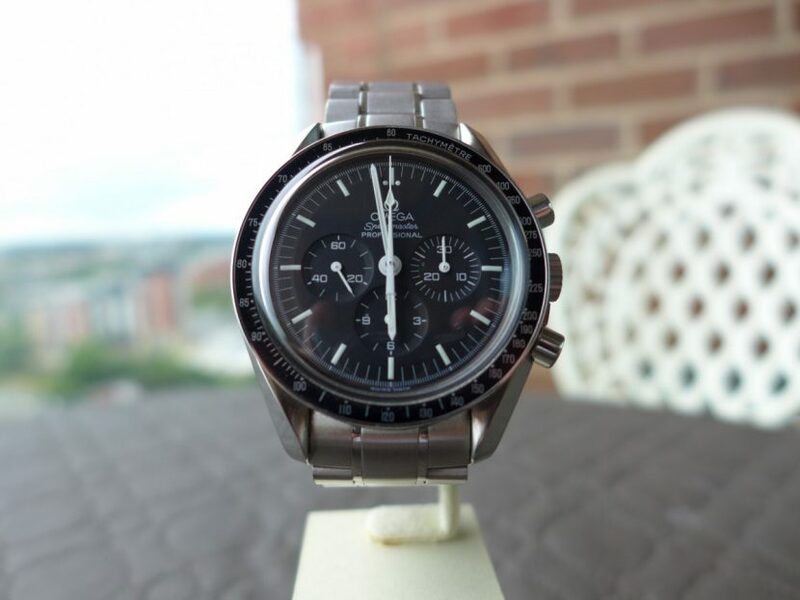 If your are looking for a modern speedmaster moonwatch this is the one to buy 3570.50.00 if you want a vintage moonwatch then look for the st 145.022 as prices are still good and not gone crazy yet. 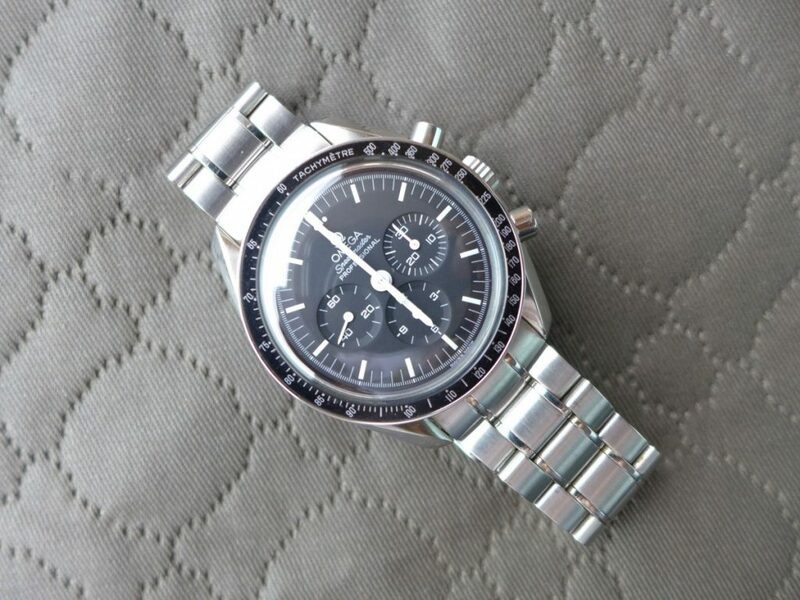 The earlier moon watches are stupid crazy money and hard to find. 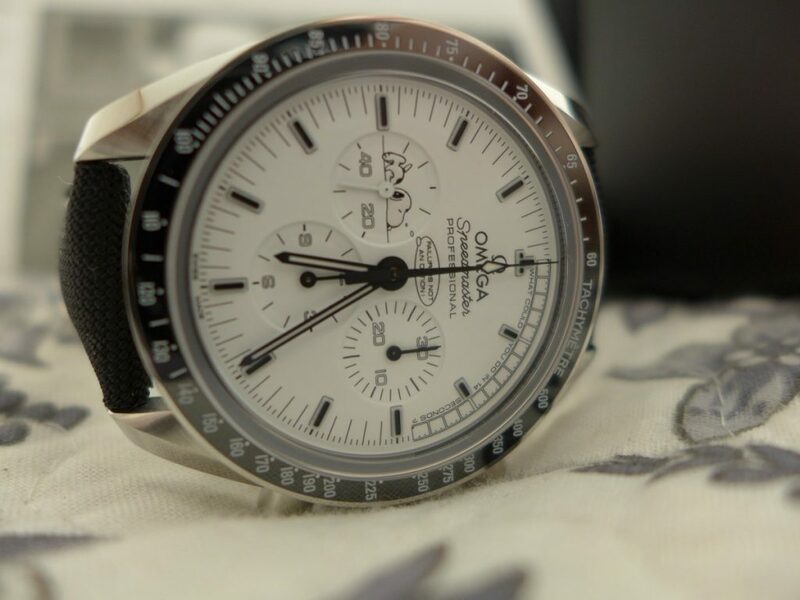 Here we have the ultimate new edition launched at basel 2015 by Omega, The Omega Speedmaster Moonwatch “Snoopy” limited Edition to 1970 pieces in total. 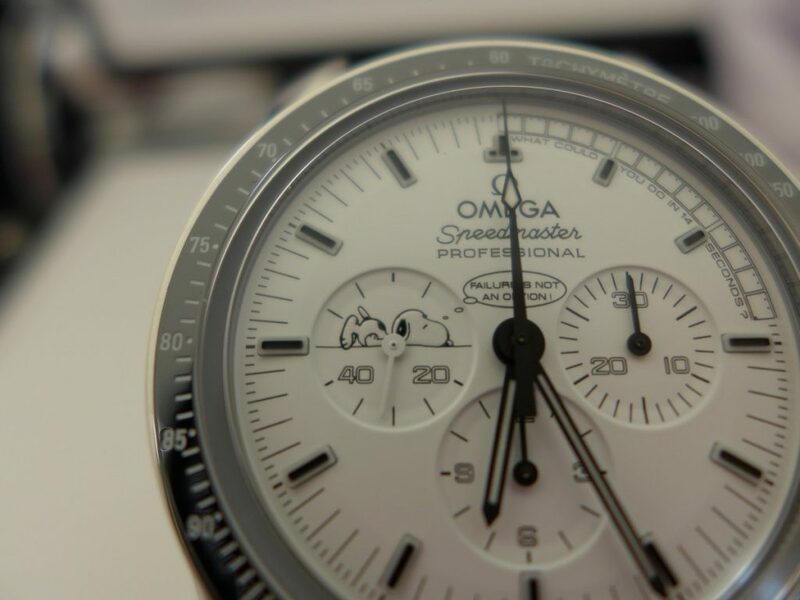 Everyone seems to want one but they sold in pre orders in minutes when the launched the snoopy. 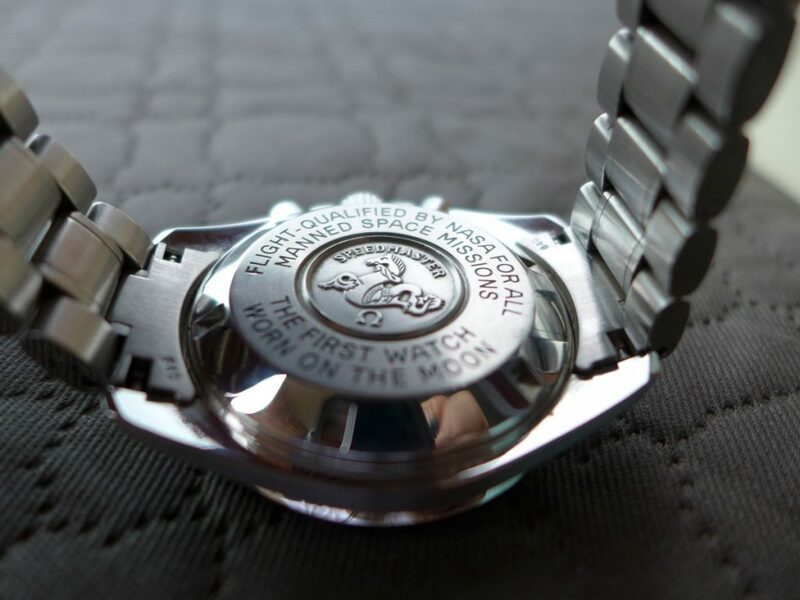 This particular snoopy is a updated version the original snoopy launched 2003 to commemorate the apollo mission in 1970 which is a standard moonwatch with a snoopy caseback and picture of snoopy at 9 o clock and they made just over 5000 pieces. 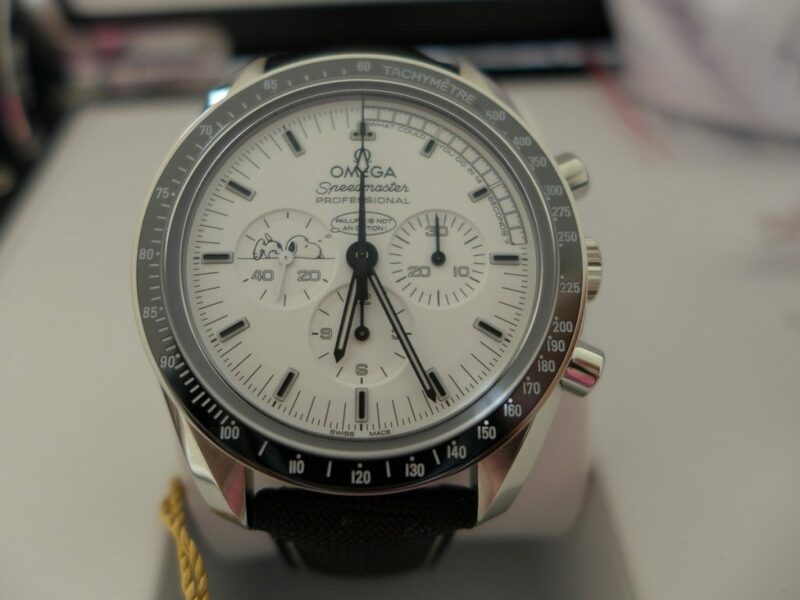 The snoopy old and new have become very sort after for collectors the new one doubled in price the day people started to get them delivered current prices range for £8500 to £14000 pounds, the Rrp was £4630 seems crazy I know. 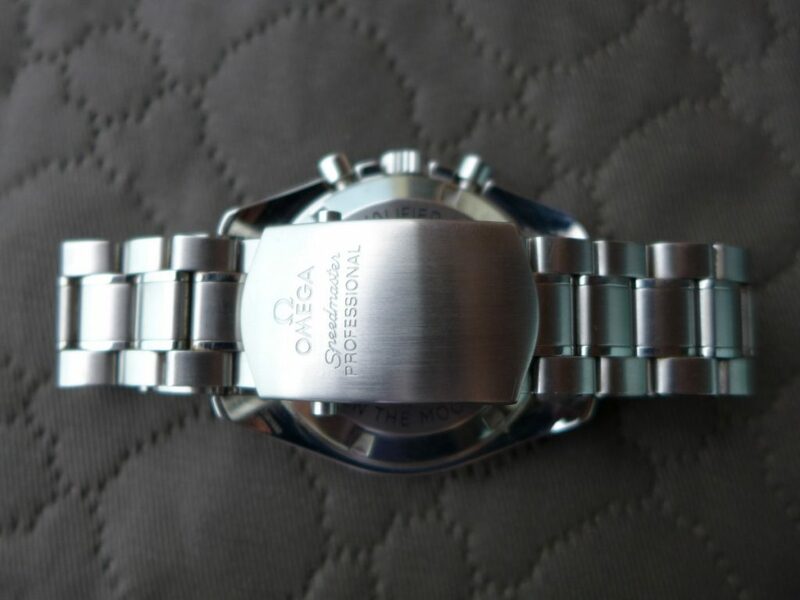 The new version has a Ceramic bezel with Sapphire anti glare glass not hesalite like the old snoopy, the movement is the manual wind 1862 cal that been used for years by Omega. 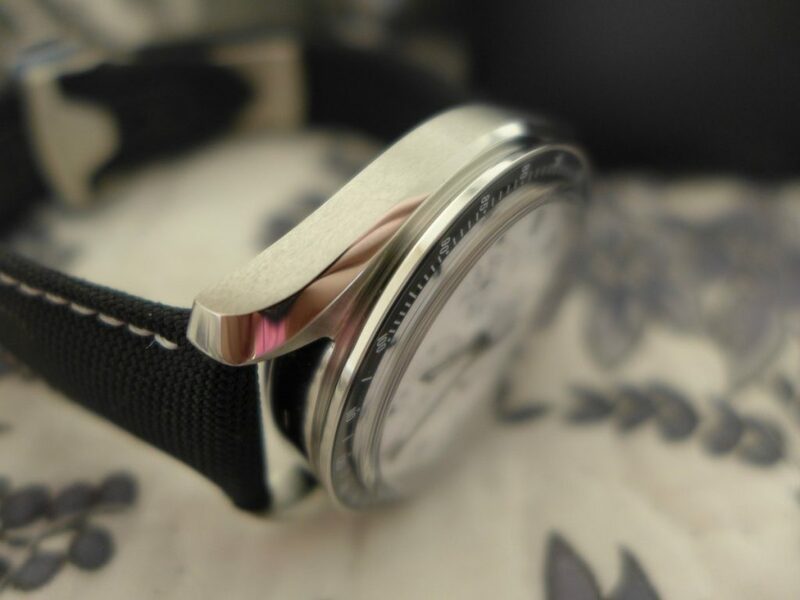 The case size is slightly bigger by 2mm which all the new moon watches have grown in size. 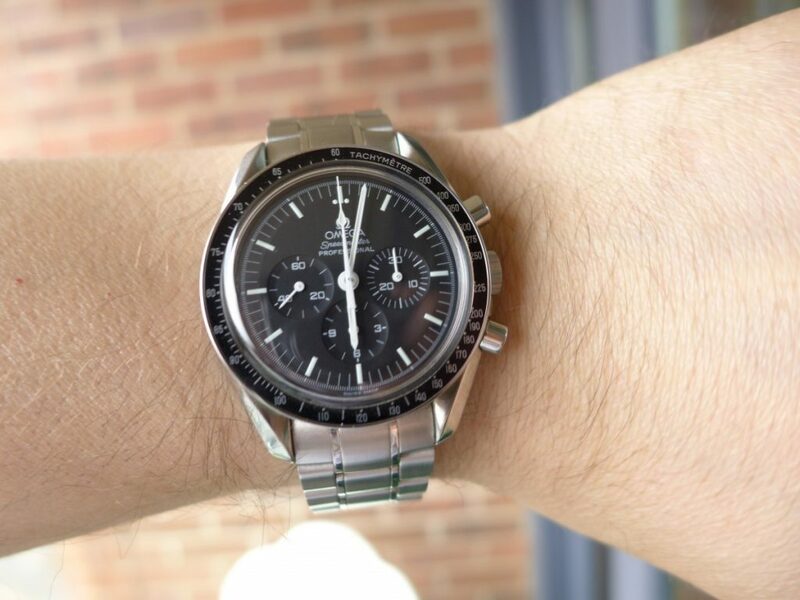 They have kept the tachymetre the same and used super luminova on the dial to glow in the dark and comes on a nylon coated strap with deployment strap, not sure why Omega did not use a bracelet like or give you the option. 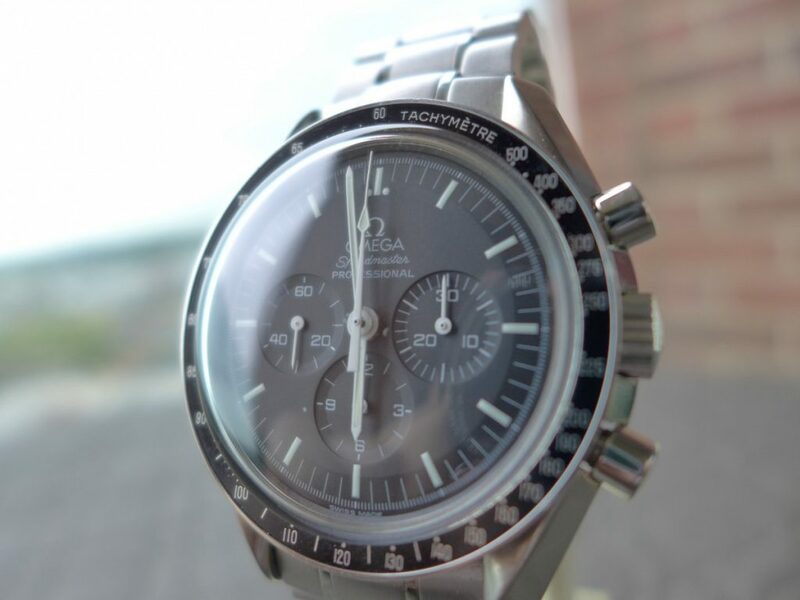 But overall a cracking piece by Omega that I am sure will be much loved in the years sadly this one is not mine but a fellow collectors.